Balloons. An essential accessory to your festive events. It does not matter what occasion is in question, a birthday party, a wedding or a reception, balloons are the unbeatable element that brings you happiness, joie de vivre and the touch of colours! When you notice them on entering the hall you smile even without realizing it. 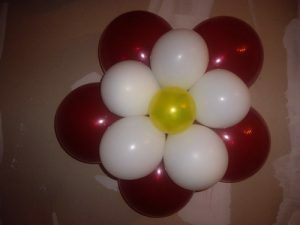 The boldest will use their imagination to create real balloon masterpieces, from the most simple to the most sophisticated ones. 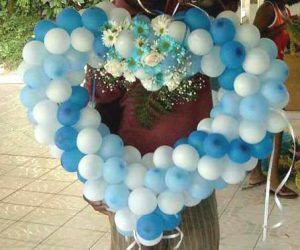 A balloon arch can embellish your wedding and make your dream come true! Hearts and flowers: essential basics. A cute snowman that was probably the result of a lot of effort!